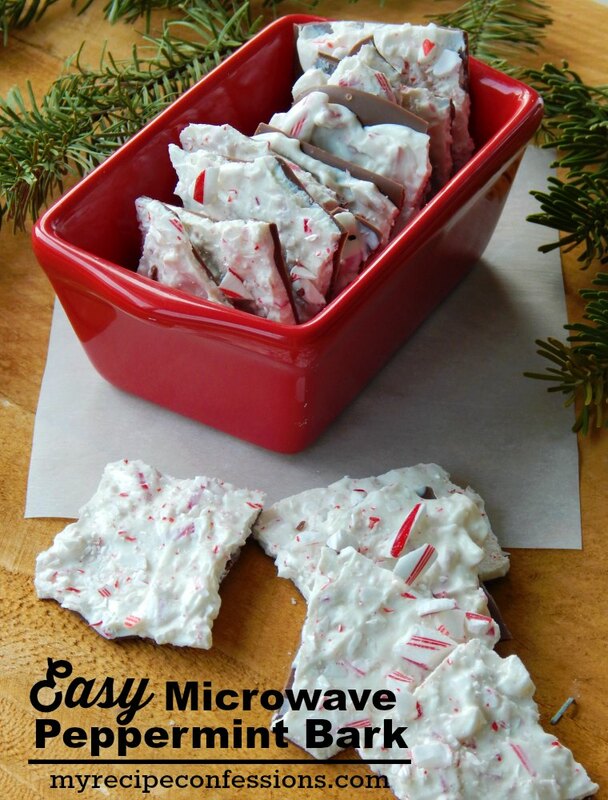 Easy Microwave Peppermint Bark is the easiest candy recipe you will make this holiday season. How can anybody refuse anything to do with candy canes and chocolate. It’s simply the best way to celebrate Christmas! This no-fuss candy is made in the microwave. Easy Microwave Peppermint Bark can be made in less than 15 minutes. You really can’t beat that! I love that you can throw it in the microwave and within minutes it is done and setting up on a baking sheet. The trick to layering the chocolate without it melting everything together is to make sure that the milk chocolate layer is completely cooled and has hardened before you spread the white chocolate on top. This bark, of course, makes the perfect teacher or neighbor gift! This recipe is easy enough that even the kids can help out. 1. Place the milk chocolate in a microwave safe bowl and microwave it for 30 seconds intervals, stirring in between each interval. 2. Once the chocolate is completely melted, spread it out evenly on a parchment paper lined baking sheet. Let it cool completely until the chocolate hardens. 3. Place the white chocolate in a microwave-safe bowl and microwave in 30-second intervals, stirring between each interval. 4. Once the chocolate is completely melted, stir in the crushed candy canes and the peppermint extract. 3. Pour the white chocolate over the hardened milk chocolate and spread it out evenly. Allow the white chocolate to cool completely. 4. 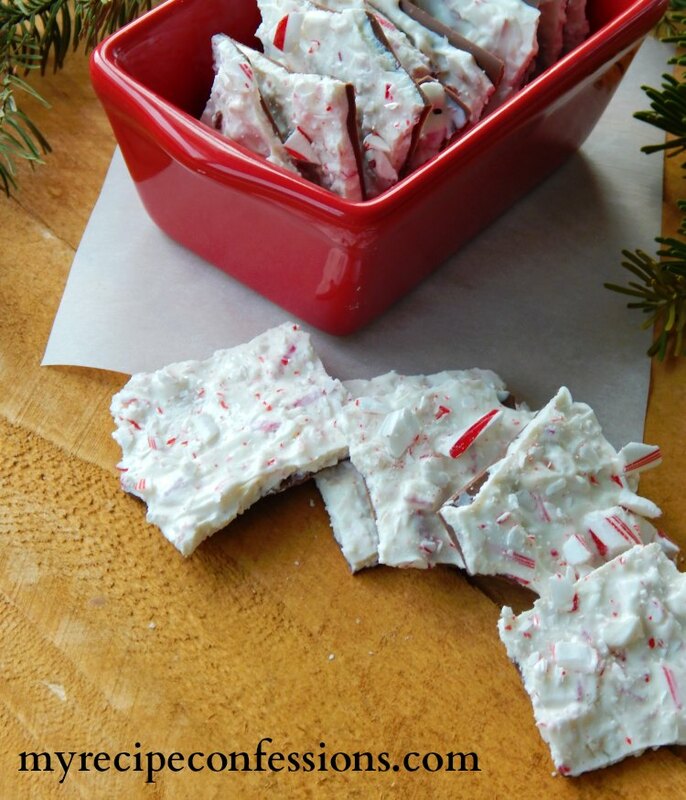 Break the peppermint bark into desired sized pieces. Store the peppermint bark in an air tight container.